This is my first mani of the year. It’s sparkly and I love it because it’s a rose gold manicure :). I kind of reversed the accent nail, this time I did the white manicure with three sparkly accent nails. So the base was white nail polish KBShimmer – Eyes White Open of which I did two coats that evened themselves out beautifully. 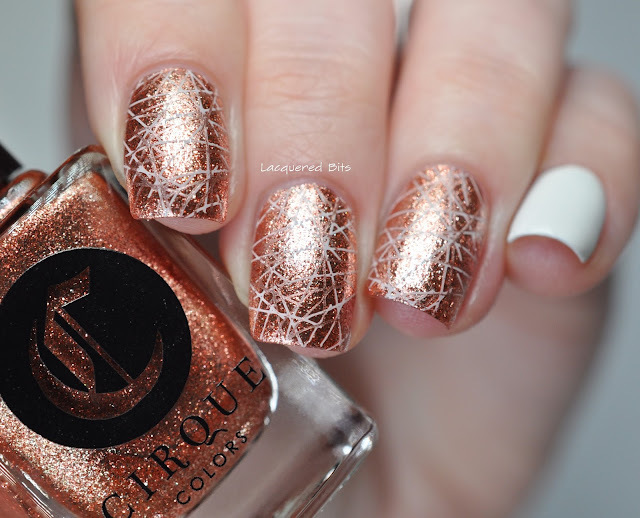 For the accent nails I used Cirque Colors – Halcyon (swatched & reviewed here) as a base, which is a beautiful sparkly rose gold flakie polish. And then over this polish I stamped pattern from MoYou London Holy Shapes Collection Plate No. 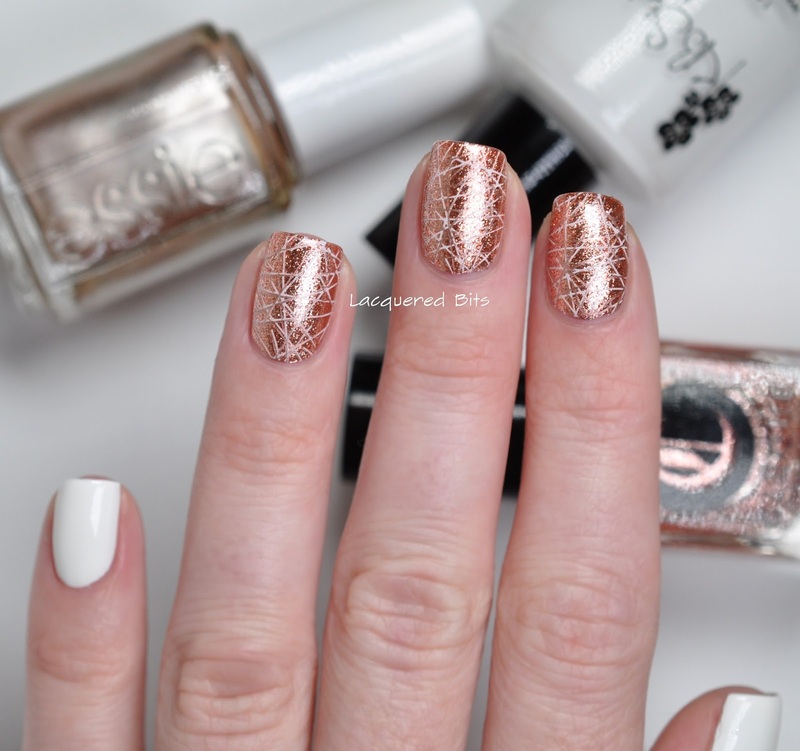 8 with Eyes White Open and Essie – Penny Talk, another gorgeous rose gold polish. 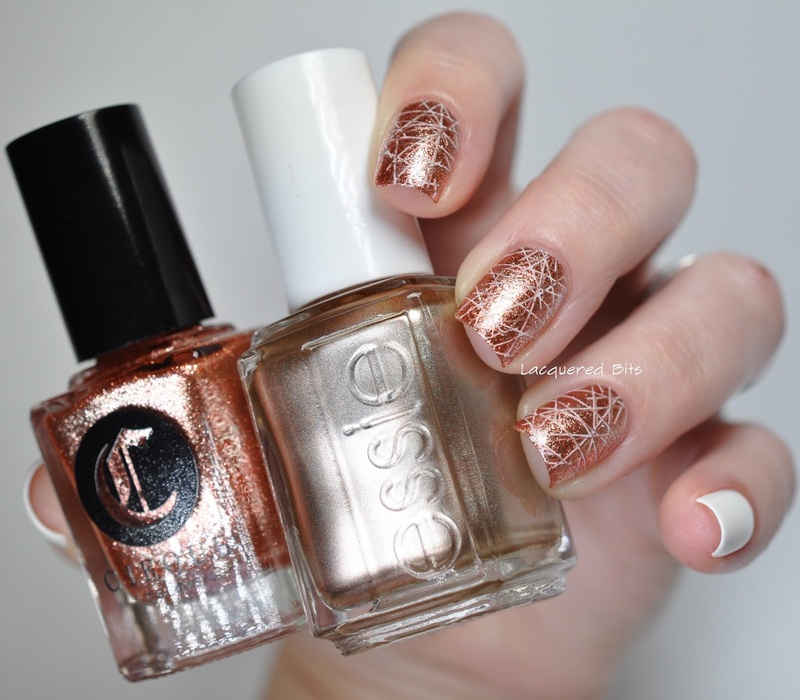 And I sealed the mani with Essie – Gel Setter. What do you think about my rose gold manicure? I think I need some sparkle because I didn’t have any during the Holidays, so it’s perfect for me.